This week we converse with Elia Cmiral, whose persuasive, textural scores for macabre tales of terror like Pulse, Wrong Turn, The Deaths of Ian Stone, and the recent Splinter have found new ways to instill sonic spookiness in audiences. But he’s also written epic symphonic scores like Battlefield: Earth and driven the straight-ahead action of thrillers like Ronin, and warm family dramas like The Reading Room. We also remember composer Irving Gertz, who passed away recently, and whose significant efforts in the Universal music department of the 1950s will not be forgotten. In reviews we take a look at the Indiana Jones Soundtracks Collection box set (“a welcome and fairly reasonably priced set”), Neal Argo’s sublime score for P.J. (“Argo’s music is quietly intimate… and gives the film a full sense of emotive poignancy.”), Danny Elfman’s new score for Milk (“forthright, powerful and poignant, mirroring the multiple aspects of the politician's life as the story progresses through the final eight years of Harvey Milk's life”), Swedish composer Johan Söderqvist’s music for the romantic vampire tale, Let the Right One In (“rich on pervasive atmospheres and compelling melodic phrasing”), Jessica de Rooij’s latest game-based collaboration with Uwe Boll on Far Cry (“nicely textured and nuanced, and, gamelike, is dominated by mostly aggressive hybrid action material”), Elia Cmiral’s The Deaths of Ian Stone (“comprised of elements of melodies and melodic tonality as well as all manner of textures and synth pads and sampled sounds layered into very interesting musical patterns”), Bear McCreary’s marvelous southern rock horror score, Rest Stop: Don’t Look Back (“rock rhythms drive the story and the music, but the menacing motifs are never far behind…”), 1995’s Jenipapo from Philip Glass (“lots of fast-moving string interworkings and layered orchestration counterpointed by piping woodwinds, piano figures, and intriguing textural gradations”), Silva Screen’s Reel Chill Vol. 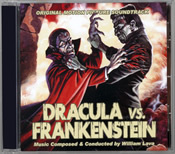 2 (“an interesting concept for a compilation album that is well played out”) and The Film Music of Danny Elfman (“a potent compact collection of Danny’s best work on films and TV”), and from Elysee Productions, William Lava’s classic menacing horror score from 1971, Dracula vs. Frankenstein (“lavish, classic monster music, Gothic 19th Century orchestral symphonics the whole way…”), and the latest assortment of film and game music news. Elia Cmiral was born in Czechoslovakia in 1957. Son of a theater stage director, he was immersed in the theater from a very young age. Attending conservatory in Prague, he began to write music for student movies. Moving to Sweden, he began to write more seriously for theater, movies, and commercials, eventually succumbing to the draw of Hollywood and arriving in Los Angeles to enroll in the film scoring program at USC. Drawing on his experiences scoring films in Sweden and his new contacts in the US, Cmiral got the job to score a low-budget thriller called Apartment Zero. A grant to produce his own record brought him back to Sweden in 1989, but by 1993 he was back in L.A. resuming his film scoring career. Don Johnson hired him to compose his TV series Nash Bridges; a new scoring assignment came from the director of Apartment Zero, but it was his music for John Frankenheimer’s crime thriller Ronin (1998), and its ensuing soundtrack album released by Varese Sarabande, that brought Cmiral to widespread attention. His interest in musical textures and affinity for creating disturbing sonorities and spooky yet very interesting tonal atmospheres made him especially adept at scoring horror and science fiction chillers, of which he has done many. His most recent such effort, Splinter, has just come out on BSX Records, with other recent efforts also available on soundtrack, including The Deaths Of Ian Shane on Perseverance (see review below), Tooth & Nail and Pulse on Lakeshore, Wrong Turn on Varese Sarabande. Interviewed shortly before Halloween, I took a stroll down memory lane with Cmiral to see what made his film scores tick. Q: How would you describe some of your early experiences in film music over in Sweden? Elia Cmiral: We did film music a little bit different in Europe. Maybe it’s different now, but when I started you just wrote a piece of music and they fit it into the movie, rather than writing something for a specific sequence. Q: Apartment Zero for Martin Donovan was your first feature score here in Hollywood. How did you get that assignment? Elia Cmiral: I replaced a famous Argentinean composer and tango player, Astor Piazzola. The movie was set in Buenos Aires, and at this time he was the hero of Argentinean tango, and a great musician and composer, but somehow what he produced didn’t work out and he left the project. The director and producer looked for somebody to replace whatever he did, and finish the whole score within ten days. So I met them, they asked me if I know anything about Argentinean tango, and I said, oh, of course I know it – but at that time I didn’t have any idea what it was! Q: So what was your approach in making a score out of that? Elia Cmiral: I used an element of Argentinean tango. I got inspired by certain harmonies that they use Since I only had ten days, I wrote maybe 15 or 20 minutes of music which I recorded with a small orchestra, and the rest I improvised with electronics direct to the picture. Q: What were your experiences on scoring Ronin, a spy thriller set in France? What were its musical needs? Elia Cmiral: The movie was a big picture, a great thriller, with great performances by all the actors, so in one way it was not so difficult to write, because I was very inspired by my favorite actor, Robert DeNiro, and I got extremely fatherly, mentor kind help from John Frankenheimer, so I was in really good hands. Of course, the picture was big and I had big orchestra. I discussed with John how to approach the main theme, and I got this idea about the use of a completely non-French, completely non-European instrument, a duduk, which carries the main theme, and I believe it was the first time duduk was used with a symphonic orchestra to carry the main theme. It was used before Ronin as a flavoring, as an ethnic instrument with a very haunting sound, but I believe that it was the first time that duduk really played the whole main theme. It was a key to the whole score, there are car chases, big action orchestra cues, but the core, the main theme, is created by duduk. Q: What was your approach to enhance the action as well as the characters and their subtexts in a film like Ronin? Elia Cmiral: With Ronin, there was the main theme and there were a couple of side themes. I don’t actually, like having themes for each character. It reminds me of a telephone catalog, putting tags on everything! We don’t need it. So, Ronin is kind of a monothematic score, with variations on the main theme. There was some electronica and percussions, but mostly Ronin was a traditional score. Q: Your first horror score was a film called Stigmata, in 1999, which allowed you to create a musical environment for what is seemingly unbelievable that’s being shown on the screen. What were your initial feelings as to the kind of music it needed and how did you develop that into the full score? Elia Cmiral: Again, I wanted to be very aggressive with the score, because it was a big orchestra, I believe it was an 80-piece orchestra, with a lot of pre-recordings of percussions and electronics and voices in my studio, not using any sample libraries but playing everything live. I wanted it to be very contemporary and edgy. It was challenging, and I became with pigeon-holed. Q: What do you consider the right kind of music is to enhance the horror experience for the audience? Elia Cmiral: I can tell only from my perspective… I was very lucky with a few different layers in my musical education. I started in a rock band in high school, playing percussion, bass, keyboards, so that’s my first roots. My second roots came from classical education at Prague Conservatory, and the third one in electronic experimental music and musique concrete in Sweden. So combining all these three layers I can adapt to any direction. My hands are not tied with one expression. I can go more orchestra, I can go more electronic, I can go for rock, contemporary. I can go any direction or any combination of these. I think I’m using it well in horror and adventure because that’s where a score can really use these elements, rather than comedies! Q: You kind of came into this whole genre at the time when a lot of the horror scores were moving away from the traditional kind of 19th Century Gothic music we had in horror films in the past, they were becoming more of a fusion of sonic textures and atonality and tonality all combined together into to create an atmosphere of disturbing apprehension, which can be appropriate, obviously, for a horror film. Elia Cmiral: What we have either from Messiaen, Pendereski, or Ligety, the sounds are completely amazing, and these composers wrote very intriguing pictures. They didn’t go for big Wagnerian themes. So, the material was there but I found when I came to USC, like you mentioned, it was a lot of kind of Gothic shadow on the horror movies, and I think I was lucky to be in the time and place where I could start to write these things, and then, the whole movement this time at the end of 1990s, there came more scores with a similar direction, more people like me started to write similar kinds of things, and horror scores are completely different than years ago. Q: And yet, there’s even opportunities to contrast the more textural music with something that kind of reflects a sense of hope, for example, in Stigmata, you’ve got your cue, “In The Trance,” where you have a very reassuring upsurge of voice and violins which is forms a kind of a respite from all the textured terror music we had before that. Q: There are so many horror films out there these days, with a variety of musical expressions. How do maintain your own voice as a composer when there are so many of those things out there? 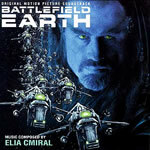 Q: Another film you did which wasn’t horror and it wasn’t textural but was more or an orchestral score, was Battlefield Earth. What kind of a score did you initially perceive for that film? Elia Cmiral: It was extremely exciting for me. I auditioned along with other composers for John Travolta [producer], and I got the job. Working directly with John Travolta and director Roger Christian was a blast. I had a hundred-ten-piece orchestra with a choir, a lot of pre-recorded musical effects, percussion and ethnic instruments, and voices, and it was great. It was a science fiction adventure movie so of course I used the kind of extended harmonies of 19th Century crossed with 20th Century harmonies. Q: When you think of science fiction these days it’s almost impossible not to look back at Star Wars and John Williams and do that kind of a Korngoldesque type of score. To what extent were you (a) obligated, or (b) restricted to do that kind of thing here and yet make it something that was your own? Elia Cmiral: You are right, I had to start with Korngold and John Williams and Jerry Goldsmith, and I listened to a couple of scores, but I didn’t copy anything. I used inspiration and then went beyond this and tried to write my own adventure score. Q: You scored the movie They for Robert Harmon, which is an interesting horror thriller which had a nice soundtrack released to it. What was that score would be grounded in? Elia Cmiral: I loved the original version of Robert Harmon’s idea that everything we see is happening in the main character’s head. It was adulterated later on as the project proceeded. I regret these changes, because I really liked the original version. Working with Robert was great. Robert is a musician himself, and he gave me a whole bunch of CDs to listen to, but they had nothing to do with the movie. The main idea behind the score was to be a little minimalistic, and of course when monsters came I had to play the big action cues. But there were a couple of tender cues with piano, and some electronic instruments with a kind of flutish sound. But alterations later on made it too much realistic and I had to alter the score because the dreamlike approach didn’t work anymore. Q: What was your inspiration to score the first lost-kids-in-the-woods-under-siege-by-mutant-cannibals movie, Wrong Turn? Elia Cmiral: That was another very interesting project, working with interesting people. My other mentor, Stan Winston, who just passed away, unfortunately, was one of the producers and I really enjoyed working with him. I think the score reflects, again, the large, the opening theme reflects the large, forest in West Virginia. I had a big string ensemble, and then with the low woodwinds and brass I just felt I would get lost in this forest also. Q: How did you emphasize the environmental aspects of the story, its setting and backwoods locations, into the score’s overall tonality of horror and danger? Elia Cmiral: Yes, that was the progress of the score, but of course very often I don’t write from the beginning to the end, I kind of jump between scenes. One part of the score is of course is electronic, which becomes darker towards the end, with a lot of disturbing and distorted sounds. But I also wanted to bring some elements that I could bridge between the orchestra and the electronica, something that is connected to a West Virginia kind of sound, so I brought in dulcimer, guitars, dobra, and this element goes through the score. There’s also a little fiddle in the beginning where the kids go through the forest, and these elements are heard later when the kids are running from the shack. The chase actually uses some dulcimer hits and grooves. That was very enjoyable because that was one of the first times I could use these instruments and elements of West Virginia, and I loved it. Q: How do you map something like that out, since as you said you’re not scoring this front-to-back, but you want to include these motific elements into your more dissonant action material? How tough is it to keep all that stuff in order? Elia Cmiral: It’s crazy! I was similar to what I did in Apartment Zero, although of course the musical elements are completely different. But in a similar kind of way, I listened to different recordings from the area and how they played dobro, how they used glissandos, and those small details which I kept in mind when I was putting it all together. Q: In 2004 you scored Species 3, a sequel to two science fiction horror films that had gone before, each of which been composed by different composers. What were your initial thoughts and reactions to this, and were you influenced at all by the previous two films and their music? Elia Cmiral: I listened to the first two scores, the first one by my good old friend Christopher Young, which is great, and Ed Shearmur who did number two, another great composer. When I got a call for this project I felt no matter what I was in great company to be in! So I started with listening, starting point of course with their scores, and then I wrote mine. I believe the whole score was done electronically, with were maybe some overdubs, but frankly I don’t remember the structure. 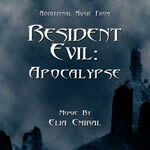 Q: You came in to do some additional music for Resident Evil: Apocalypse to enhance the score that was done for that. Would you explain your involvement in this film? Elia Cmiral: Right. I would up getting called to see if I could rescore a couple of cues. I believe I did about eight or nine cues. Q: What did you have to do to fit your new music in with what Jeff’s already done, and yet give the film something that feels like a cohesive whole? Elia Cmiral: That was the main problem! I never heard the final recordings of Jeff’s – I’d only heard some very simple demos. But I was led by producers to do this or do that. I was worried, because I felt if I wrote too strong a theme, and I only have nine or ten cues out of forty that are in the movie, then it will stick out, and how would it work with Jeff’s music, which probably also has some themes. But I just did what I was asked for and had a really good time with the producers recording the music in Seattle. I don’t know how we did it! I know that Jeff’s music was heavily reedited on the stage, and somehow they fit some of my cues in. This kind of thing is always unfortunate for the first composer, and the second composer is always at a disadvantage because he has to fit the music to the first one and if you haven’t even heard it, how can you do that? Elia Cmiral: And Pulse 3, I just finished work on that. Q: How would you describe the development through these three films? Elia Cmiral: In the middle of scoring Pulse, I learned that Jim Sonzero, the director, was leaving and that I had another director. So I altered a couple of cues, fortunately not too many, for this new director, and then Jim came back! So this business is very tricky. As a composer you just have to fit the team. It’s a team work. If I write symphony, it’s just for myself or for my friends, and that’s a different thing. But in movies it’s a team work, and we are serving the movie. That’s how I see it. Pulse was another insane project, extremely hectic and crazy, and I loved working with Jim Sonzero, we really worked well together. I used the Prague Orchestra, recording on the Internet for a couple of days, a large string ensemble with no brass and a four or five clarinets playing the highest possible tone. It was just insane, and so loud. Pulse 2 and Pulse 3 were completely different. The second one is about the relationship between the kid and mom, and the third one the kid is already 17 years old and she is searching after her mom who became a ghost. So there is a kind of connection, a background of the ghost in Pulse 1, but the structure is completely different. I did visit my own score for the first film and tried to find the relationship between the scenes and sequences, so elements of Pulse 2 and Pulse 3 did come from Pulse 1. Q: A couple scores you did were part of the After Dark Horrorfest were The Deaths Of Ian Stone and Tooth & Nail. How would you describe the music that those films evoked? Elia Cmiral: Deaths Of Ian Stone was another very dear project, again with Stan Winston, and another producer from Wrong Turn. It was like coming back home! They brought an Italian commercial director, Dario Piana, another extremely pleasant person and very knowledgeable about movies, and knowledgeable about what he wanted. He also turned out to be a former rock musician, so we suddenly found all sorts of things to talk about, rock from ‘80s and very open minded! I considered the movie as a love story, and even if it’s kind of horror, and the score reflects this. There is a kind of dreamy theme, with low/high strings, a relationship theme between the two main characters. There’s also a little death motive, as I call it, a 3-toned, high pitched synthesizer tone, which we hit every time Ian dies. I don’t know, it was loud in the mix, and I don’t know if the audience realized that it always relates to Ian dying, but I always try to put as many elements and thoughts in my scores as I can, and then just leave it for the audience to read it or not read it. Even if they don’t read it consciously, they maybe unconsciously feel it. Every time when he passed from one life to the other one, we hear this sound. Even if it’s a lot of sound effects and loud music around it, I encourage the director to stop the orchestra music and just have this little thing there. It gave me chills! Elia Cmiral: Yes a completely different movie. This was an apocalyptic a movie after we run out of gas and society falls apart. To reflect that kind of craziness, I alternated the tuning on a couple of instruments that ordinarily don’t have tuning. One was a glass harmonica, it’s a diatonic instrument but I did tune it to the quarter tone, so I’m getting a very unpleasant sound. I wanted to reflect this strange apocalyptic feeling where suddenly we don’t have any rules, we don’t have any society, and you do whatever you want to do to survive. I used these weird glass harmonica clusters along with high string harmonics and for the monsters, and for the meat eating people I did a very metallic, organic grooves using different sounds. I recorded some sounds in the kitchen, scissors, knives, an axe, these kinds of things, and that reflected that they were very organic, they eat meat and they were trying to re-establish the old society, what they remembered or they knew. So the music there was very transparent. The rules were different and these two worlds were clashing. They were completely different and the music was completely different. 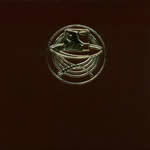 Q: Your score for Splinter was recently released on soundtrack. Coming in to this project, for director Toby Wilkins, what were some of your original ideas when you first spotted the film and how did you develop that into the final score? Elia Cmiral: When I got a call and I saw the movie for the first time, I was completely blown away how Toby had directed the whole movie. We have these two couples and they are clashing, so you think that you can predict what will happen, but it goes completely wild into different directions. So I started with a very atmospheric approach and then began wilder as this parasite develops and attacks the people. It winds up with complete symphonic chaos, very aggressive, and very dark. At the beginning of the movie,. Again we’re seeing a forest, but, as we learn at the very end of the movie, it is a 400-year old forest and it’s full of these “splinters,” [parasite creatures] which live there. So when these people just walk into the forest, I created these textures, and they are changing – it’s not just one layer, there are hundreds of layers, droning and evolving. I was imagining these splinters, and how the parasite is attacking animals and people and how they would change through the parasite. I tried to reflect it in the score. Q: It’s almost like the splinters equate to musical notes and as they get more horrendous the score gets more chaotic. It drives the symbiosis of the music as it develops. Elia Cmiral: Right, absolutely. I tried to see myself in this gestation, and these three people they survive a couple of attacks and they see how the parasite is so aggressive and so fast, You just get a little scratch, and within a couple of hours, you’re gone. So I tried to reflect that in using the same thing. Q: What kind of instrumental palette did the score suggest to you? Elia Cmiral: I went pretty much with electronica from beginning to the end. There are a couple of scenes where I played a cello solo or violin myself, and for the other orchestral textures I used orchestra samples. I used glass harmonica for the opening titles, and a lot of programming and percussions. I wrote a lot of music for this movie, a lot of versions and I tried this and that. The movie was really interesting to score because it just refused traditional themes. I tried to use defined tones, like strings or piano, but nothing worked. So I finally scaled it down and took away from the orchestration and I ended up with a very rich texture throughout the first half of the movie. The first real kind of traditional theme comes at the very end with a cello solo, a reflection of the opening title when Dennis is dying. It amazed me, how the movie dictated what it needs. I had tried motifs for the virus, I tried this and that, and it didn’t work. It just felt so artificial and awkward, so I took it away. Q: What do you see for the future of horror music? We’ve seen horror film music moving from the Gothic orchestras of the 40s and 50s to the very textural approaches we’ve seen in the 90s and since. Where do you think we’ll be in another five or ten years with music for monster movies and horror films? Elia Cmiral: If I knew I would be an agent! I really don’t know/ But what I’d like to do, from my point of view, would be to do some kind of retro, Gothic thriller. I would love to do that, because it is not done any more. Everyone is pounding on synthesizers and samples and I’ve heard so many of these scores and they are so similar. I try to be different and try to find something new. I have some ideas for my next project, to use more human sounds. This may be something I can explore. I think sooner or later it will turn again, back to the orchestra, because I think the electronic chaos, if it’s in the hands of somebody who doesn’t really know what they’re doing, it can end up with just drones or just sounds. We have so many great libraries nowadays which we didn’t have fifteen years ago, I didn’t have these sounds when I did Apartment Zero, where I had to do everything myself. I had a couple of very primitive samples, but maybe the that forced all of us to use more imagination and develop sounds, instead of, ‘hey this sounds good,’ and people think they are Stravinsky overnight, buying a library with classical sounds, but it’s not really true. I played in orchestra, so when I am writing this kind of sound I am thinking like a player, and how I would play that. Often I will try it on the violin or cello or piano, which I play, and see how it would sound and how I would play it. If I used some library sounds I’ll overdub live instruments or find different ways of using existing sounds rather than just getting something from the box. 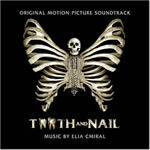 Q: Even though we’ve mainly concentrated here on your horror work, obviously there’s other realms that you’ve worked in, such as The Wishing Tree, a very warm, orchestral score, or something like Blackbeard or The Reading Room, which are entirely different kind of a scores and not generally what most people think of as Elia Cmiral scores. Clearly you can do more than what you seem to be locked in to. Elia Cmiral: Of course. If somebody calls me today for a black comedy or an adventure I would jump on it directly. I try to do different things, and I love to do the thriller and horror films. But I do like to do different things. Iowa was an interesting one, or The Reading Room, with James Earl Jones. I remember on this particular project that I wrote the whole score in two weeks. Suddenly I was back into tonality and twelve keys and major/minor chords, and it was great! It’s not easy to write contemporary orchestra versus electronica and versus grooves and all these kinds of things, so I really enjoyed this different score. Concord Records’ elaborate 5-disc collection, Indiana Jones: The Soundtracks Collection is housed in a respectable faux leather box with a faux gold-embossed Indiana Jones emblem on the front. It’s a nifty little package that contains four digipaks containing the soundtrack albums from all four films, with the first three containing significant previously unreleased tracks. The fifth disc is housed in a cardstock slipcase and included, along with a 32-page booklet of photos and an intro from the set’s producer, Laurent Bouzereau, includes his 18-minute audio interview with Williams, Lucas, and Spielberg as well as an additional ten unreleased cues from the first three Indy films. Now, virtually all significant thematic material from all of the Indy films has already been issued on the previous releases – the meager 9-track original release to Raiders having already been updated in 1995 from DCC and Silva Screen with a 19-track expanded edition – but like many expanded reissues, the significance of the Indiana Jones set is in the availability of variations on those themes, unfamiliar nuances and distinct developments. From Raiders, the new box set adds four new tracks, one of which is on the bonus disc and that track is the best of the new Raiders cues, a splendid cue called “Uncovering the Ark” (5:32) which proffers some very interesting reprises of Williams’ Ark Theme and a satisfactory denouement that brings the track back to the composer’s jungle motif from the film’s opening. The other three Raiders tracks are fairly short incidental cues, each about a minute in length, with variations on familiar musical motifs. Indiana Jones and the Temple of Doom, already elusive on CD (released on CD only in Europe and Japan, on the same 11-track released issued on LP at the film’s release), receives fourteen new tracks (four are on the 5th bonus disc), and this really expands the musical material available from this fine score, including some notable new arrangements and variations on the score’s thematic material, including a couple of motifs not represented on the original release. Finally, from Last Crusade, we have a dozen new tracks (six on the bonus disc) and an extended version of “Indy’s Very First Adventure.” The new cues are mostly short, but provide intriguing variations on the score’s themes and also demonstrate Williams’ use of the synthesizer as a new member of his orchestra in a stronger way than the original release did. With Kingdom of the Crystal Skull having come out just a few months earlier and appearing here with no new material, its value may be more in just having all four scores together in such a nice complete set, and it does nicely round out the listening experience from start to finish. As a whole, though, this is a very pleasing and fairly thorough set. The inclusion of so much new material and the interview disc places this release far above last year’s boxed-set release of the Pirates of the Caribbean movies, which proffered nothing new musically, although not quite as tasty as FSM’s Superman: The Music box set of a few months back, which contained virtually all the music there was from the four Superman movies. But it’s a welcome and fairly reasonably priced set, nicely packaged, with enough new material included to make any John Williams fan very happy. Neil Argo (Wild America, Skeleton Coast Safari, episodes of Melrose Place, Burke’s Law, Macgyver, etc.) 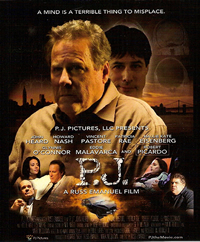 has scored a new theatrical release called P.J. Based on a 1984 play by Mark McQuown, the film stars John Heard, Vincent Pastore, Robert Piccardo, and Hallie Kate Eisenberg, and is about a man named P.J. who witnesses a horrific accident and subsequently retreats into himself. He is brought to a hospital where the resident psychiatrist (Heard) tried to get through to him with the help of P.J.’s bitter girlfriend; meanwhile the doctor is facing his own inner demons. The film embraces Argo’s reflective and thoughtful score, which won a Bronze medal for “Best Impact of Music in a Feature Film” at this year’s Park City Film Music Festival. A soundtrack release should be hopefully forthcoming; in the meantime samples of this and other scores are available on the composer’s web site and are well worth having a listen to. Argo’s music is quietly intimate, emphasizing acoustic guitar which is often heard solo in the body of the film. His main theme is introduced in the Main Title, a compelling and uplifting melody for strings over piano, which is developed out more fully in the nearly 5-minute End Title suite, which progresses into a warm and quite lovely piano and saxophone piece, very nicely textured and arranged. It’s a very pretty melody, nicely carried along and gives the film a full sense of emotive poignancy. The motif is fragmented and recurs amidst the body of the film, as in the thoughtful “How Did He Know?” There are also a variety of solo acoustic guitar pieces and several short jazzy “hip” string bass motifs laced throughout the score to enhance brief moments of P.J.’s recovery. A melancholy motif associated with the New York skyline, which has meaning for P.J., is provided through tender winds and strings; the character of Claire also has her own very despondent theme for layered strings with a hint of woodwinds. “Save Me,” in particular, provides a fervent musical cry for help in its pleasing high strings. But gradually the score’s fragments come together and the cues take on a more confident melodic progression, culminating in the very pleasing “Montage Wrap” and “Conclusion,” which resolves the story, and the score, and the fairly downhearted mood of both, into and light and airy musical denouement of recovery and reassurance. 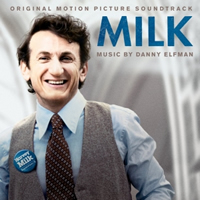 Decca has released Danny Elfman’s evocative score for Milk, Gus Van Sant’s eloquent filming of the story of California's first openly gay elected official, Harvey Milk, a San Francisco supervisor who was assassinated along with Mayor George Moscone by San Francisco Supervisor Dan White. The film, which opens in select cities on November 26th and then expands to a general release in the weeks that follow, stars Sean Penn as Milk, who is shown to be a hero whose forged coalitions across the political spectrum, not just for gay rights, but for those of senior citizens and union workers as well. Elfman’s score is articulate and understated, quietly underlying the compelling story of his involvement in local government. From an expressive and nicely-developed theme for Harvey that exemplifies the character’s enthusiasm and quiet courage, to the energetic drive of a secondary Thomas Newman-esque motif associated with Harvey’s passion for politics (introduced in “Politics is Theater” and reprised in “Harvey Wins,” “Gay Rights Now,” and elsewhere), the music is forthright, powerful and poignant, mirroring the multiple aspects of the politician's life as the story progresses through the final eight years of Milk's life. “Harvey’s Last Day” is a tender and heartbreaking motif, exuding the elements of commitment and passion which have played before but heard in this context become especially touching. A female choir adds both an air of lament and of dignified accomplishment to “Postscript;” the album also includes as bonus tracks, a straightforward rendition of “Anita’s Theme,” associated with Anita Bryant (seen only via news footage in the movie) whose anti-gay crusade was warming up the same time Milk was in office, and a cool saxophone version of the main theme. The Milk soundtrack includes a healthy 38 minutes of Elfman’s score, preceded by a half dozen song selections – including music by Sly & The Family Stone, David Bowie, The Swingle Singers and The Hues Corporation – that range from upbeat dance anthems to melancholy ballads that prefigure Milk's premature fate. Tomas Alfredson’s Swedish horror drama Let the Right One In (Låt den rätte komma in), a striking vampire love story, has won over a dozen international film awards, including top honors at the Tribeca Film Festival, Woodstock, and Sitges. Following the US premiere of the film on October 24, MovieScore Media has released the orchestral score by acclaimed Swedish composer Johan Söderqvist (Things We Lost in the Fire, Brothers, After the Wedding), who has crafted a very personal score that juxtaposes elements of melodic beauty with dark and ominous textures (including the use of the unusual instrument, the bass waterphone). 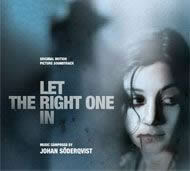 “Writing the music for Let the Right One In gave me a rare opportunity to write a score that consists of both darkness and light,” the composer said. “The filmmakers weren´t looking for your typical horror soundtrack. The most important quality of the music in this film had to be melody and harmony, so even if the overall tone of the film and the score is dark and atmospheric, there is always a sense of hope and beauty.” Söderqvist’s score floats in the air like a crystal fog, a fluid mélange of melodic tonality that wafts down like freshly laundered bedsheets to give the film a soft and comforting atmosphere that belies its dark underbelly, just as the love story betwixt boy who meets girl, boy falls in love with girl, girl happens to be a vampire which complicates matters, glistens with its own airy lightness above its romantic yet dark underbelly. “Eli’s Theme” supports the loveliness of the girl’s character through a lilting theme for violins, rich in the passion for life and love; while darker moments are supplied by keyboards and lower ambiances, while “The Slaughter,” “Hiding the Body,” “Giving Up,” “Spotting a Victim,” and others don’t so much waft as lay down a pervasive and weighty gloom through its low register and sustained tonalities, dealing as they do with the darker elements of Eli’s character. The boy, Oscar, is given a pensive and slowly-awakening motif for solo piano, reflective of his growing and very personal affection for Eli; eloquent strings embolden the cue, “Oscar in Love,” midway through. The same motif recurs for a wholly different feeling in “Death of Håkan,” the solo piano here resolute and lost in sorrow, reflectively reverbed. “The Father” provides a variation on Eli’s Theme for solo acoustic guitar; “Virginia Wakes Up,” provides a cool eeriness through reflective tonality and exuding textures; and, at 5:49, the titular track, assembled for the End Titles, provides a pleasing recap of the score’s more benevolent nuances. A very nice score, rich on pervasive atmospheres and compelling melodic phrasing, effectively preserved. 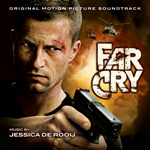 MovieScore Media has also released the score from Far Cry, Jessica de Rooij’s latest collaboration with prolific low-budget director Uwe Boll, after In The Name of the King: A Dungeon Siege Tale, Seed, Postal, Bloodrayne II, and Tunnel Rats (she has since scored Boll’s Stoic and is set to do next two, 2009’s Sabotage 1943 and 2010’s Zombie Massacre – all of which should be fine scores to hear. I loved Bloodrayne II (also issued by MSM), and Far Cry, albeit less eloquently fantastic and more of a straightforward thriller (well, at least until the monsters come out), is a good contemporary action score (appropriate enough since, like most of Boll’s films, it is based on a first-person shooter video game). De Rooij’s score is nicely textured and nuanced, and, gamelike, is dominated by mostly aggressive hybrid action material, driving strokes of violins and keyboards and potent, declarative dissonances for brass and percussion. A brief Love Theme for piano, strings, and sparkling percussion provides a brief respite. “The End of Dr. Krieger” provides a pleasing climactic moment for a growing progression of riffing violins and bongos over which intriguing violin figures resonate; some interesting percussion effects and sampled sonics embody the latter part of the cue, giving it a neat texture. Uwe Boll’s very own Shirley Walker, de Rooij continues to provide powerful and aggressive action scores; while this one may not have quite the same eloquence as Bloodrayne or In The Name of the King, which benefitted from period settings that prompted more melodic phrasing, it’s more evidence of a notable composer and a good energetic score in its own right. 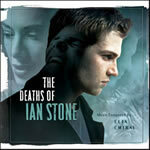 Perseverance Records’ release of Elia Cmiral’s score for the 2007 After Dark Horrorfest entry, The Deaths of Ian Stone, is brim-full of persuasive chills. The film, from Italian director Dario Piana, tells of an all-American guy who is murdered each day by horrifying pursuers, only to wake up in slightly different lives to experience the terror of being murdered again. The film is also a love story (see Cmiral interview, above), so there’s a very interesting sub-texture on display throughout the score, as the music supports the romance, the obstacles to that romance (like Ian’s recurring deaths), the strangitude of the story, and the recurring murders. The score is comprised of elements of melodies and melodic tonality as well as all manner of textures and synth pads and sampled sounds layered into very interesting musical patterns. Tracks like “2nd Murder” and “Warning” and others have some really interesting sound design and musical textures, from bird cries to soft bells and whisperings sighs, making for an extremely compelling sonic ambiance that holds together very well. “Night Visitors” is a moody orchestral cue, layered strings over rapping percussion that builds a cool sonority before morphing into eerie sound design, the track concluding with a poignant piano reflection; “She Changed You” reprises the slow, melancholy string sonority, which becomes a kind of wistful, but only vaguely hopeful, love theme; “Saving Jenny” allows the motif to play against the darker, more dangerous motifs, emerging in a swelling triumph. “They Found You” is musical panic, a fascinating assemblage of percussive sound and advancing rhythm, accentuated by pulsating chords of horns and chilling strokes of violins, that becomes satisfactorily unnerving. “Subway” is moody, reverberated gamelan, echoed reflections of percussive bangs and gongs and tones, progressing into a slowly exuding dissonant crescendo. 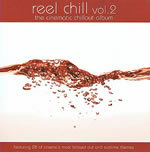 The album closes with seven exclusive remixes of score tracks created by Cmiral for this release; but these are far from danceable remix tracks – they retain their pervasive sense of disturbiana and simply become more potent, intended to lend a more powerful persuasion to the score’s subtlety within the film. The album contains thorough and explanatory notes from Daniel Schweiger that include interview segments from both Cmiral and director Piana about the development of the score. What does Southern rock twang, gospel choir, crystal clear guitar soloing, wafting horror atmospheres, and highway convenience stations have in common? The answer’s go to be Bear McCreary’s score for Rest Stop: Don’t Look Back, sequel to the original Rest Stop thriller McCreary scored in 2006. In that movie, the composer adopted a countrified, banjo-inflected score that reflected the film’s setting while allowing plenty of room for the requisite spooky/scary music supporting the film’s more disturbing nuances – what Bear described as a “twisted and bizarre musical universe.” The new score, released on CD by La-La Land Records, amps the tonality up a bit adding electric guitars as well as banjos, but still can be recognized as a textural horror score with plenty of terror textures and scary sonorities. The main motives are build from the southern rock material (in his liner notes, McCreary aptly describes the score as “Lynyrd Skynyrd in Hell”), but an undercurrent of menace, danger, and eventually outright horror continually floats around it, often emerging, as in “Cleansing the Sinner,” where the fellowship of a cheerful gospel choir chorus is ultimately overcome by the dark fog of McCreary’s horror motif, into an exuding mulch of very scary atmospherics. Tracks like “Powertools,” by far the score’s spookiest cue, take processed banjo and guitar and immerse them into a stew of boiling, guttural, horrific sonic tonality. You’ll never listen to bluegrass quite the same again, trust me. Rock rhythms abound, driving the story and the action and the music, but the menacing motifs are never far behind, and it’s a rare respite that is allowed to intrude on the score’s forward progression and purposeful levels of unease. Pure orchestral measures, like “Nicole’s Ghost,” build a slightly warmer tonality but remain intentionally discomforting; McCreary builds a necessarily potent mood of anxiety throughout the score, even when it’s providing contagious toe-tapping rhythms and riffs. Contrasting with the synth/guitar/banjo disturbiana is a marvelous electric guitar theme for Tom, the film’s hero. Introduced by outstanding guitar soloing in “Tom and Marylin,” McCreary puts on a tremendous bluesy rock instrumental that I’d have paid money to see at Winterland in my younger days. His instrumental rock chops and in great form and he uses the idiom to reflect the contemporary edgy personality of the character and the rurality of the film’s setting in a way that’s fresh and very compelling. A gentler version of the heroic guitar motif is provided in “Tom To The Rescue,” which replicates the soloing of the earlier cue, as does the climax of “The Last Stand,” and that cue kind of does for the Rest Stop idiom what William’s “Battle of Hoth” did for the Star Wars idiom – it provides rich, well-displayed and epically massive action music, except that Bear’s using a country rock band instead of the LSO. But he’s developing his music in theme-and-variation, progression-and-development fashion, and it materializes into a splendid action piece with guitars and banjos and fiddles and drumkit and synths and (yes!) cowbell displaying considerable musicality in the midst of a powerfully driving rhythm and forward motion. A final number, (spoiler alert! ), “The Driver Gets Marilyn” concludes the score with a dark, twangy rumbling coda. In addition to a healthy dose of Bear’s score tracks, we have an opening rock number by his brother Brendan, “Rattlesnake On The Highway,” a quirky gospel number by The Rev. Buford “Buck” Davis and his Minstrel Singers). But wait, there’s more – we’re also given three score tracks (one of them in an extended form) and three songs (a cool country ballad from Brendan, a rich tune from Bear’s recurring songstress Raya Yarbrough, and another cool gospel tune from Rev. Buford’s band) brought over from the first Rest Stop soundtrack (released by PlanR/Element 1), reprising what Bear considers are the best elements from the first film’s score. Les Choristes, Newman’s Meet Joe Black, Piovani’s Life Is Beautiful – even Zimmer & Howard’s Batman Begins, and much more, re-recorded as usual with the City of Prague Philharmonic (a couple tracks are by The London Ensemble or another such orchestra) guaranteed to chill out any chaotic day. 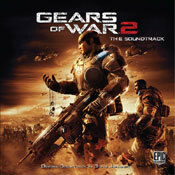 It’s an interesting concept that is well played out, for those who prefer their soundtrack mixed and moody. Elysee Productions has followed up their inaugural release of Tito Arevalo’s score for the 1969 B-movie classic, The Mad Doctor of Blood Island, with another blood-drenched low-budget indie horror score. This time it’s the venerable composer William Lava (contributed to The Deadly Mantis, Revenge of the Creature, Disney’s Zorro, dozens of Republic Pictures serials and Warner Bros Roadrunner cartoons, TV’s F Troop, etc) making his original soundtrack album debut with the complete score to drive-in schlockmeister Al Adamson’s 1971 horror chiller, Dracula vs. Frankenstein (no relation to the 1970 German film, Los Monstruous del Terror, also released as Dracula vs. Frankenstein, or to Jess Franco’s 1972 giallo exploitationer, Dracula contra Frankenstein). This version gave us both Lon Chaney Jr. and J. Carroll Naish in their final screen performances as Dracula (Zandor Vorkov, aka Roger Engel) conspires with a mad doctor (Naish) to resurrect the Frankenstein Monster (John Bloom). With Lava’s pedigree as a member of the Universal monster music factory, it’s not surprising his D vs. F score is a rich orchestral work in the finest 1950’s horror music style. Adamson’s Dracula vs. Frankenstein, for all their tenuous grade-z appearance and activities here, could not have been better represented that by music that reflects their original heyday, and Lava (who died on Feb. 20, 1971, before the film had its release) had the chops to do it right. This is lavish, classic monster music, Gothic 19th Century orchestral symphonics the whole way, severe intonations of brass clashing with aggressive piano pounds and thunderous timpani glissandi, jagged footstepping horns, stabbing xylophone arpeggios, crystalline harp strums in high reverb, shimmering sustainments of winds, spooky organ and throbbing electric bass, low groaning tubas, and whiney, sinewy electronica entwinements that manage to sound both like Theremin tonalities and like a dentist’s drill. Lava’s Main Title is a brilliant composition, charging-ahead with a ferocity rarely heard in independent films like this. The album contains the complete Lava recordings from the studio’s archival mono mixdown scoring masters (including a cool jazz chase cue that wasn’t used in the film) along with four tracks created in post production by producer Samuel M. Sherman and used in the movie. These are a little livelier than the Lava mixes but both versions are potent exampled of classic styled horror music at its best (the film, completed after Lava’s death, also included library tracks from Harry Lubin, Paul Sawtell & Burt Shefter, and Universal’s music library; these are appropriately not included on this CD). The 1000 pressing limited edition CD includes “Audio Liner Notes” – an 18-min. track featuring producer Samuel M. Sherman discussing behind the scenes details of the creating (and remixing) musical score (Sherman felt Lava’s recordings were poorly mixed and too bassy, so he remixed them, having previously worked as a music editor, to give them a brighter and more powerful punch). He also discusses the production of radio spot commercials for movies, and the CD also contains a cool 13-minute audio compilation of horror and exploitation radio spots from Sherman’s archives. Irving Gertz, a significant contributor to the music of the Universal science fiction film boom of the 1950s, has passed away at the age of 93. Gertz was born in Providence, Rhode Island, in 1915 and was educated there at the College of Music. He became as­sociated with the Providence Symphony and composed several chorus works for the Catholic Choral Society. In 1939 he began working at Columbia’s music department until joining the army two years later. After World War II, Gertz returned to motion pictures, scoring and arranging for many companies. His first work in the gen­re at Universal was in collaborating with Herman Stein and Henry Mancini on the score for It Came From Outer Space (1953), all of them composing about an equal third of the film (although the main thematic approach was created by Stein). Gertz also contrib­uted to the scores of The Creature Walks Among Us (1956) and The Incredible Shrinking Man (1957), and composed nearly all of the music for The Monolith Monsters (1957). It was that score that perhaps best exemplifies Gertz’s science fic­tion scoring of the 50’s, and stands out as a fine “B” score of the period with its unusual story of crystalline rocks from outer space that react chemically to the water on Earth, growing to monstrous, threatening proportions. Most of the score was composed by Gertz, with assistance from Stein and Mancini, plus a short tracked cue that opens the picture, originally from The Deadly Mantis, by William Lava. In fact, much of Gertz’s music for Monolith Monsters came out of Deadly Mantis as well, as was often the case in the re-use of music from one b-picture to the next in those days. Gertz and Lava co-composed the score to Mantis fairly equally, and their thematic material was delicate and discrete. But Mantis had buried much of its music under the sound effects of the roaring, buzzing insect while in Monolith the music is heard more in the foreground and plays a larger role in the film. 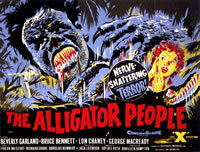 Gertz also scored The Alligator People (1959) for Twentieth Century-Fox. An intriguing if poorly visualized monster story about a man saved from death by an alligator gland formula (within the unfortunate and unexpected side-effect of gradually transforming him into two-legged crocodilian), Gertz provided a wholly original score that overcame the picture’s tight music budget not by reducing the size of the orchestra or the amount of music – both elements Gertz knew the picture needed to maintain a convincing atmosphere to enhance its fanciful premise – but by composing music that, with a few minor changes, could be used in more than one scene, thus saving considerable time and money. Gertz also scored Universal’s The Leech Woman (1960) before joining fellow Universal alumni Stein and Hans Salter on Irwin Allen’s television series, Voyage To The Bottom Of The Sea and Land Of The Gi­ants, where he composed the music for several episodes. After including several tracks from Ennio Morricone in his compiled scores for Kill Bill parts 1 and 2, Quentin Tarantino has successfully secured the services of the Italian maestro to score his next film, Inglourious Basterds. The film, set in Nazi-occupied France during World War II, tells of a group of Jewish-American soldiers known as "The Basterds" who are chosen specifically to spread fear throughout the Third Reich by scalping and brutally killing Nazis. The Basterds soon cross paths with a French-Jewish teenage girl who runs a movie theater in Paris which is targeted by the soldiers. “Tarantino originally approached Morricone for Pulp Fiction but Morricone didn’t feel his music suited the film (and he was correct) but when Tarantino was making Kill Bill, his self described “Spaghetti Western”, Morricone actually approached Tarantino to score an original soundtrack,” reported Matt Holmes in a posting at obsessedwithfilm.com. While a great lover of Morricone’s past work, Tarantino eventually wound up using excerpts from previous Morricone scores in his Kill Bill epic. This will be the first Tarantino film to have a completely scored musical soundtrack; his past efforts all being compiled from pop tunes or a mixture of score and songs. Check out a cool online a capella tribute to John Williams, sung in 4-part harmony by the same dude who sings a Star Wars filksong using segments from Williams’ best film themes. Alex Wurman has created an original, holiday score for New Line Cinema's Four Christmases, a holiday comedydirected by Seth Gordon and starring Vince Vaughn and Reese Witherspoone. Wurman is best known for his innovative scores to March of the Penguins, Talladega Nights: The Ballad of Ricky Bobby, Confessions of a Dangerous Mind, Thirteen Conversations About One Thing, Anchormanand Play It to the Bone. Wurman’s score to Four Christmases mixes traditional Christmas music with new original music, resulting in unique adaptations of familiar holiday classics. Wurman’s score also offers inventive themes that are subtly sweet as well as poignant. The score was recorded at Warner Bros Eastwood Stage and performed by a 90 piece orchestra, incorporating guitars, hand percussions, bells and other contemporary instruments. Wurman, an admirer of Gershwin and Bernstein, saw his work on this film as an opportunity to pay homage to and celebrate those he respects by incorporating classic qualities into his score. Next month, Wurman’s score will be heard in the drama What Doesn’t Kill Youstarring Ethan Hawke and Mark Ruffalo. Composer Michael Wandmacher has scored the new Marvel comics based film, Punisher: War Zone. The film comes to theaters from Lionsgate on December 5th. 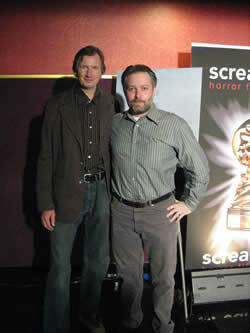 Wandmacher has scored feature films, TV series and videogames, including thrillers Train and The Killing Floor. His next film, the horror thriller, My Bloody Valentine 3-D, comes out in January. Composer Jon Brion joins writer Charlie Kaufman (Being John Malkovich) on his directorial debut to score Synecdoche. Brion and Kaufman worked in the past on Eternal Sunshine of the Spotless Mind; he has also collaborated with artist such as Kanye West, Dido, Macy Gray, Rufus Wainwright and many more. Additionally, Brion composed scores for Paul Thomas Anderson’s Punch-Drunk Love and Magnolia(in which he received a Grammy nomination for Best Score), and 1996’s Hard Eight. John Ottman is the only Hollywood film composer doing double duty as a film editor. Although Ottman has scored numerous films, he only wears the two hats for Bryan Singer since their first project in college, which won a Sundance award which then led to Usual Suspects, Apt Pupil, Superman Returns and so on and so on. Valkyrie starring Tom Cruise is the epic film based on a true story about German officers attempt to assassinate Hitler during World War II. Ottman spent months in Germany editing the film as well performing the duties of a visual effects editor. As the VE editor Ottman made over 700 edits from the appearance of fingers being blown off to correcting an error of wrong aplets on Nazi uniforms. After editing, Ottman began creating the over 70 minutes of score with an 80 piece orchestra for the film. Varese Sarabande will release the soundtrack on CD on Dec 16th. Intrada has announced the world premiere of original soundtrack from Little Monsters, David Newman’s score for the 1989 Richard Alan Greenberg fantasy with Howie Mandel, Fred Savage, Daniel Stern. Newman’s colorful symphonic score blends stimulating monster chaos from wild strings with a touching family drama from piano. Intrada Special Collection release limited to 1000 copies. On December 9th, Intrada will ship another world premiere release, Charles Fox’s vibrant orchestral score for 9 To 5, the popular Colin Higgins dark comedy with dynamic star turns from Jane Fonda, Lily Tomlin & then-newcomer Dolly Parton. The disc will also include wildly popular title song written and performed by Dolly Parton. This is an Intrada Special Collection release limited to 3000 copies. On December 9th, Warner Bros. will release The Dark Knight 2 Disc Collector’s Edition. The new package contains 50 additional minutes of unreleased music from the movie, and 4 unreleased remixes by The Crystal Method, Paul Van Dyk, and others, as well as a 40 page book of stills from the motion picture. This new Collector’s Edition package was produced on a one-time manufacturing run. Once this batch is gone, no more will be made, so pre-order this special release fast! Speaking of Desplat, Varese Sarabande will release his score for the French adventure-thriller Largo Winch on CD at the time of the film's January 2009 U.S. release, but for those who don’t want to wait, they will release the score as an iTunes download beginning December 16th, in time for the picture’s opening in France and Belgium. Perseverance Records has two new releases available via its web site. Donald Rubinstein's Knightriders, Elia Cmiral's Journey to the End of the Night, a beautiful score suggestive of Howard Shore and David Arnold, available in limited edition of 500 copies. Additionally, the label’s first downloadable album is now available on iTunes, Edwin Wendler's The Interior. My hosts here at Buysoundtrax have released Elia Cmiral’s chilling score for Splinter, the first feature length film for director Toby Wilkins, from a script by he and Kai Barry & Ian Shorr. Splinter premiered at the recent ScreamFestLA and swept the awards ceremony, winning awards in six categories, including best editing, best makeup, best direction, best picture and, for Elia Cmiral’s efforts, best musical score. Splinter tells the story of a convict and his girlfriend who carjack a couple on a weekend retreat in the woods. Both couples soon find themselves trapped together in an isolated gas station, on the run from a deadly parasite that occupies the woods outside. 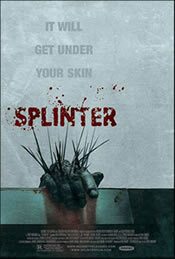 The Splinter soundtrack has been issued in a limited edition of 1,000 copies. La-La Land Records special limited edition (1200/copies) release of Laurence Rosenthal’s splendid disaster movie epic, Meteor, has already sold out but copies may be found among some of the usual online suspects. The CD updates the previous Japanese CD release and composer’s promo edition by adding a newly-located track and correcting the track names from the original cue sheet titles. The sound has also been newly digitally mastered. I had the pleasure of revisiting both movie and score in detail while writing the notes for this release and was mightily impressed by the music anew. Lakeshore Records has released the soundtrack for the Emmy Award nominated television show, Cold Case. Music plays an integral part in the hit CBS series, produced by Jerry Bruckheimer and Warner Bros., spawning a lot of discussion in fan groups and message boards on the internet. The Lakeshore Records soundtrack album features original music composed by Michael A. Levine, a veteran composer of sound design and music for commercials who moved into film composing in 1995, serving as support composer for Hans Zimmer and Cliff Martinez. Cold Case, which debuted in 2003, is a drama about a female homicide detective in Philadelphia who finds her niche when she's assigned to "cold cases" – crimes that have never been solved. "Every episode has a unique theme,” said Levine. “As we get to know the victim, the theme deepens emotionally, climaxing at the murder scene that takes place just before the final montage." Walt Disney Records has released the original soundtrack for Walt Disney Pictures' animated comedy adventure Bolt. The recording features score written by Grammy®-nominated composer John Powell (Happy Feet, Shrek) and two original songs: "I Thought I Lost You" performed by the film's stars Miley Cyrus and John Travolta, and "Barking at the Moon" by Jenny Lewis. From Italy, Digitmovies’ releases for November 19th will be Francesco De Masi’s complete score from Elio Scardamaglia’s 1966 “gothic giallo” film, La Lama Nel Corpo (aka The Murder Clinic). The story takes place in an isolated mental hospital whose patients and staff are being killed off by a hooded maniac who stalks the halls. CAM of Italy issued a soundtrack LP in 1966 which is long out of print and hard to find. The new Digitmovies release is remastered from the mono recording session tapes, allowing the CD to include 14 previously unreleased music tracks. “The symphonic score is well structured on both suspense and dramatic themes that well describe all the macabre side of the plot, often marked by the powerful sound of an electric bass guitar (a frequently used instrument from the composer),” notes the label. The CD includes a second rarity: De Masi’s score for 1963’s Lo Spettro (The Ghost), included via seven tracks from a long out of print vinyl source compilation disc. Also for Nov 19 release is Carlo Rustichelli’s score for the 1959 peplum adventure, Annibale (Hannibal), in which Victor Mature played Hannibal crossing the Alps. 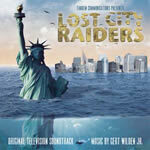 Alhambra Records will release the soundtrack from Jean de Segnonzac’s new sci-fi action movie, Lost City Raiders. The score is from German composer Gert Wilden, Jr., who has already contributed music to such outstanding movies as Oscar nominated production Sophie Scholl – The Final Days and the Oscar winning short film Quiero Ser. His music to Lost City Raiders fuses modern urban action elements with classical orchestra, choir and medieval instruments. The label will also issue Marcel Barsotti’s score for the 2008 adventure film, Der Seewolf (The Sea Wolf) and also Angelo Francesco Lavagino’s score for L’Impero del Sole (Empire of the Sun), the 1956 documentarylike cinematic expedition, the latter in a limited edition of 1,000 copies. Prolific Japanese composer Kenji Kawai’s latest score is for the new Shun Nakahara film Sakura no Sono (The Cherry Orchard), a remake of the same director’s 1990 teen drama that takes place in a girl school which is celebrating its anniversary by staging a play in which gender roles are intentionally confused. The film is based on a popular manga. Kawai’s score was released last week by Universal Japan. Award winning composer Inon Zur and celebrated musician Stuart Chatwood have created a compelling and epic original score for Ubisoft’s new Prince of Persia video game, scheduled to release December 2, 2008. Developed by Ubisoft’s Montreal studio, the game opens an entirely new chapter in the Prince of Persia universe in addition to introducing a fresh illustrative art style, evolved combat system, and open world structure. The new Prince of Persia score features eastern ethnic instrumentation blended with a cinematic orchestral approach, combined with a different musical treatment for each of the game’s four lands. Lead composer Inon Zur contributes dramatic and majestic orchestral music performed by the Northwest Sinfonia and recorded with Arabic flutes and duduk. Zur’s compositions, which include the Main Theme, capture the complex emotional evolution of the characters as well as immersing players during gameplay and in select locations. Stuart Chatwood, a member of the renowned Canadian rock band The Tea Party, brought his distinct rhythmic style and unique palette of world music instruments that draws upon the cultural sounds of Persia. In addition to augmenting world music library sounds and mixing his own recordings of multiple instruments from his travels worldwide, including santoors, sarods, sitar, zournas, and tamboura, Chatwood performs ethnic instruments such as the oud, zourna and snake charmer flutes. The intricately layered music mechanism playing musical variations by both composers enhances the gameplay in such a way that is totally adaptive and embraces the gamer’s performance, as if the composers were scoring in real-time, following the player’s action. For more information on the games, see www.brothersinarmsgame.com. Film, television and video game composer Garry Schyman has created the original music score for the newest installment of the acclaimed Destroy All Humans! video game series. 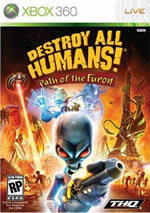 Developed by Sandblast Games (THQ Inc.), Destroy All Humans!® Path of the Furon™ is set in the 1970’s and the game’s score is inspired by music styles from that era. Schyman’s musical influences for DAH Path of the Furon include classic 70’s film scores by Lalo Schifrin, Jerry Goldsmith, and Roy Budd. The DAH Path of the Furon score was recorded with a live symphony orchestra as well as brass band, flute soloist, saxophone soloist and wah wah guitar performed by A-list musicians in Hollywood.